To many people, especially the uninitiated, golf seems to be a terribly complicated game. There are so many different club types and many rules. The sport’s lingo is perhaps what makes it even more complicated. You will hear terms like bogeys, birdies, etc. Even though this is the language we speak At The Cyber Bunker, we understand that it has the potential to send shivers down the spine of prospective golfers, even before they can lay their hands on a golf club. That’s where our guide comes in. To all golf enthusiasts, whether they know a thing about golf or not, our guide fits them all. But before we give you a glimpse of what is contained in our guide, let’s understand a few things about the game. Golf is a precision game that involves a club and a ball. It is played on a golf course, which contains holes. Players are required to hit the ball into each of the 9 or 18 holes, using the fewest possible strokes. Perhaps one unique thing about golf is that it is played on golf course, which is actually not a standardised play ground. Generally, golf competitions are played either for match play or stroke play. This is the ground where golfing takes place, and it contains a series of holes. Each hole has a teeing area dedicated to it. Although there are many nine-hole golf courses around the world, a typical golf course contains 18 holes. 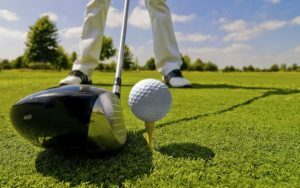 Every golf round involves playing a certain number of holes, in a particular order, as determined by the layout of the course, and a single round usually consists of 18 holes. It is spherical in nature and usually white-coloured (other colours are also allowed though). The ball is designed with “dimples” on the surface, to minimise air turbulence, while it is in motion. This allows it to fly to the furthest point possible. So you want to play golf? We get it. With our comprehensive guide, you could be on your way to becoming a great golfer. If you’re just getting started in the golf universe, there are certain mistakes you will want to avoid, in order to play the game like a pro. Our guide talks about those mistakes. 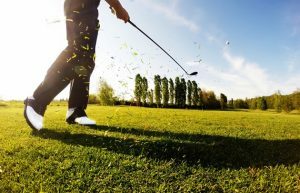 You will also learn how to prepare for a golf tournament and the benefits derived from playing golf right here. You will also find news on how the golf legend, Tiger Woods, contributed to his country’s loss of the 2018 Ryder Cup.